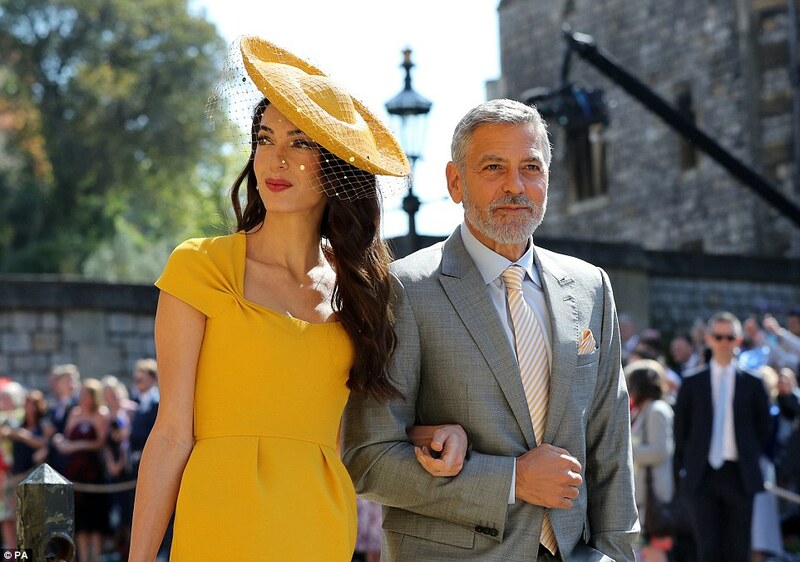 Hollywood's hottest couple Amal and George Clooney arrived in style at the Royal Wedding of Prince Harry and Meghan Markle. The 57 year old actor and his 40 year old wife were dressed to impress, and Amal put her slender and lithe physique on show in a show-stopping ensemble. 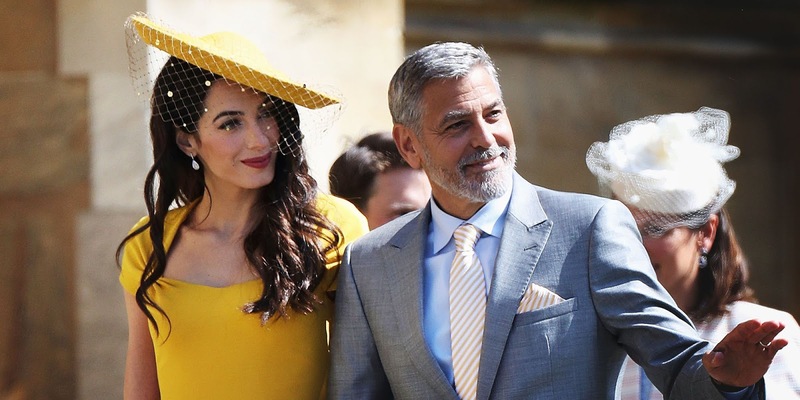 Amal's fitted mustard yellow Stella McCartney dress featured short sleeves, and the Human Rights lawyer wore a matching fascinator with netting to go with the look. Amal's brunette hair was done in soft curls and she also opted for a glamorous makeup look including bold red lips and a slick of eyeliner. 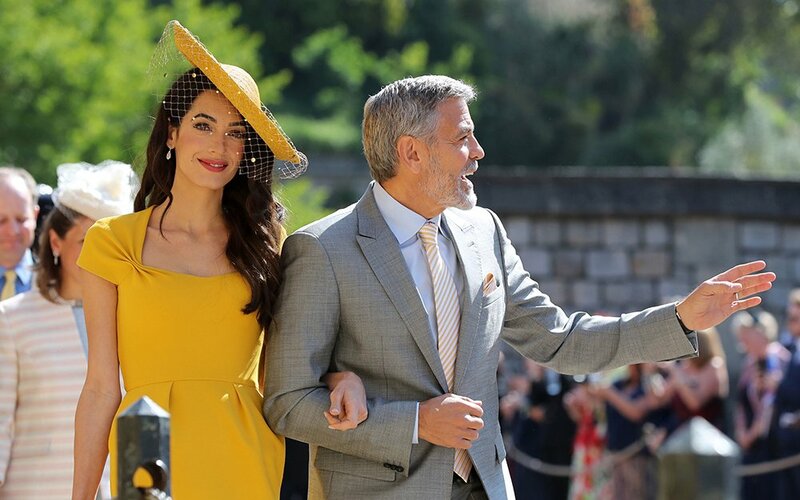 Clear perpex heels with a golden toe and a small metallic gold clutch was paired with Amal's look too, while George was dapper in a smart tailored grey suit. Meghan and Amal have been friends for quite some time now; they were introduced by mutual friends when Meghan moved to England, and they share the same hairdresser too.